Just Julie B's Stampin' Space: Autumn Wreath Greeting Card Box Set! Get ready for those cool autumn days with bright beautiful leaves tumbling down with this lovely set of four gift cards and a matching box. 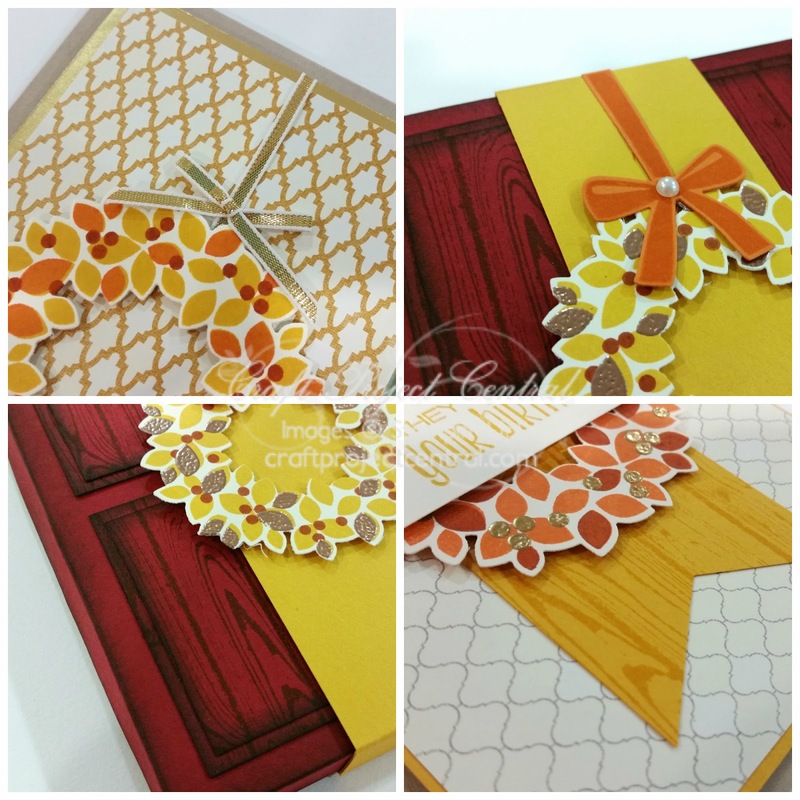 Each contains a beautiful autumn wreath featuring the Wondrous Wreath Stamp Set. This would make a quick and easy class project or hostess gift! Make one to gift to a friend or keep it just for yourself. This pretty project was made by Amanda Corbet and you can get her tutorial when you subscribe to the month of September over at Craft Project Central.